Western JRPG fans wanted to know how Shining Force III ended, and they weren't going to let the Japanese language stand in their way. There are few things more aggravating than not finding out how a story ends. An unfinished tale is bad enough, but it's somehow worse when the ending is out there, but you can't enjoy it. That's the case with late nineties RPG Shining Force III, which told three intertwining stories across three discs. At least, it did in Japan; in the West, only the first disc was ever released. In Issue 290 of The Escapist, Lisa Gay talks to "Moogie" of the fansite Shining Force Central, who spent years pleading with Sega to release the second and third discs, before finally taking matters into her own hands. Bereft of a proper ending, Shining Force III fans pulled together to try to convince Sega to translate and bring the last two scenarios of the game west. 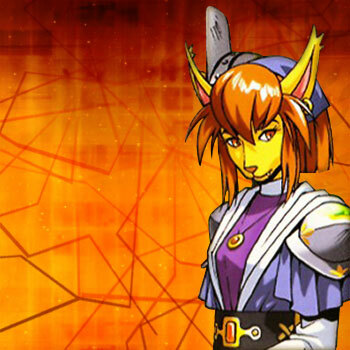 Moogie of fansite Shining Force Central was one of the leaders of the original campaign in 1999 ... She started "Phase II" after the internet campaign to let Sega know just how eager Shining Force fans were for anything - be it a translation, a compilation or even a new game. This second phase had several bases around the world that gathered emails and letters that would later be posted to Sega as well as Camelot and Climax (a studio who jointly helped Camelot make Shining Force). They compiled a package that included a petition containing over 2,000 names ... Whether by coincidence or out of desire to please the fanbase, Sega Japan announced Shining Soul in October 2001 - a mere six months after the campaign packs were sent. But it wasn't the Shining Force fans were hoping for due to the absence of Camelot, the original creative crew. In any case, Phase III was already underway. Moogie learned from the difficulties of the previous effort and decided to take leadership of the entire campaign herself ... the amount of work she went through was astonishing. Not only did she collect postal letters and printed emails, she was also checking IP addresses to make sure the over 5,000 entries in the petition were unique. Then she put together a professional-looking package and produced a slickly-labeled CD with all the data inside. Despite this Herculean effort, Shining Force III remains untranslated, at least by Sega. Shining Force Central has ditched the petitions, and is instead tackling the translation itself. You can read more about it in Gay's article, "The Shining Force."